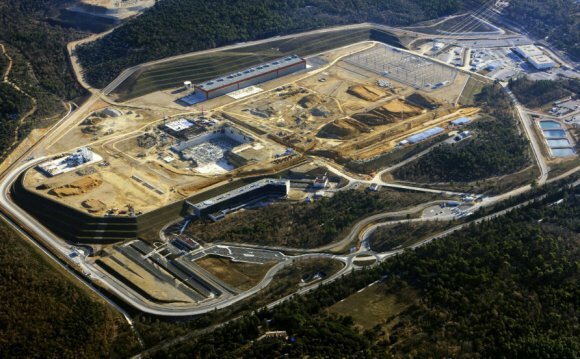 This past year has been big for nuclear fusion. First there was the announcement from Lockheed Martin claiming they could have a fusion reactor that fits in a truck. Next there is an announcement from Germany that physicists are close to finishing another fusion reactor. I suspect that when most people read about nuclear fusion, like in this recent TIME feature on a startup called General Fusion, they just focus on the “nuclear” part. But there is a big difference between nuclear fission and nuclear fusion. Let’s go over the similarities and differences. Suppose that I had a 2 million dollars (this is clearly just a hypothetical situation). For some reason I decide to split this money two separate accounts. After doing this, I find that each account has $999, 999. Yes, I am missing 2 dollars! But maybe in exchange for this missing 2 dollars, I get a whole bunch of energy. That might be ok. This is exactly what happens with nuclear fission (fission means to break apart). If you looked at an atom, you would find it has three things: electrons, protons, and neutrons (OK, hydrogen doesn’t have any neutrons). The number of protons in the nucleus tells you what element the atom is (nitrogen has 7 protons, silver has 47 protons). Then there is the atomic number atomic mass number. This tells you how many protons plus neutrons the atom has. Uranium-235 has 92 protons (because it’s uranium) and 143 neutrons (because 235 – 92 = 143). Oh, one more fact for the next time you are at a party. If two atoms have the same number of protons, but different numbers of neutrons—these are isotopes (like hydrogen-1 and hydrogen-2). But back to fission. Here is the crazy part. If you break uranium-235 into two pieces, you get krypton-92, barium-141 plus two extra neutrons. OK, that isn’t crazy since all the protons and neutrons are accounted for. If you find the mass of the original uranium and the mass of all the pieces, you will find that you are missing some mass. The stuff before has a greater mass than the stuff after. That’s a little crazy. It’s like spitting 2 million dollars and ending up 2 dollars short. But that energy isn’t really lost—it was just converted into other forms of energy. Yes, we can consider mass to be a kind of energy. This is where that famous equation comes into play. In this expression, E is the equivalent energy, is the mass of the particle and c is a constant that happens to be the speed of light (with a value of 2.99 x 108 m/s). Because this proportionality constant is so large (and squared), a small amount of mass can give you a HUGE amount of energy. What can you do with all of this energy you get from the change in mass? Obviously, you can heat up water and make steam. Yes, that’s usually what these reactors do—they make steam to turn a turbine to generate electricity. Just like a coal burning power plant, but without the coal. The above example looked at mass changes when you break something apart. This can also happen when you combine hydrogen and deuterium (which is just hydrogen with an extra neutron). When combining low mass elements, the product has less mass than the starting stuff and you also get energy. So, breaking large atoms gives energy (nuclear fission) and combining small atoms also gives energy (nuclear fusion).